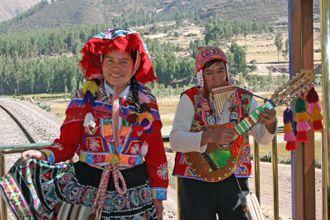 Let Mountain Kingdoms organise your Tailor Made holiday to Peru. See the main cultural and historical sights of Peru, including Lake Titicaca, the Nazca lines, the Sacred Valley and of course, Machu Picchu. Fly to Lima via Madrid and transfer to your hotel. Morning sightseeing tour of some of Lima’s key sights including the Colonial centre, San Francisco and the Larco Herrera Museum. In the afternoon drive south to Paracas. Full day at the Paracas National Reserve with a boat trip to the Ballestas Islands and sightseeing in Paracas. Drive to Nazca. Early morning overflight of the Nazca Lines and the rest of the day at leisure. Drive to Arequipa, full day sightseeing and a day at leisure to explore this delightful town or simply relax. Drive to Yanque in the Colca Valley. En route, visit the Pampa Canahuas National Reserve where you can see volcanoes and llamas. Drive to Puno via Silustani. Take a boat trip on Lake Titicaca to see the Uros reed islands and Taquile Island. Take the Orient Express train to Cuzco – one of the great train journeys of the world. Spend a day sightseeing in Cuzco. Two days seeing the Inca sights of the Sacred Valley including Pisac, Ollantaytambo, Moray and Chinchero. Take the train to Aguas Calientes and spend a full day exploring magnificent Machu Picchu with an expert guide. Return to Cuzco, fly to Lima then on to London. 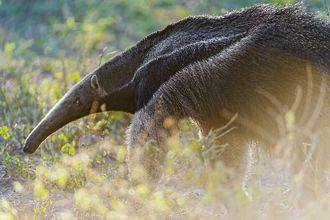 Combine the classic Inca Trail trek to Machu Picchu with a stay at the Manu Biosphere Reserve, home to a vast array of wildlife. Fly to Lima and on to Cuzco. Take a gentle stroll around some of the sights in the town centre. Drive to Ollantaytambo and explore the impressive Inca ruins before beginning your trek on the Inca Trail. Your overnight camp is close to the large ruins of Llaqtapata. A day of relatively gentle climbs and descents with a final steep climb up to a beautiful meadow called Llulluchapampa – your overnight campsite. Continue your trek to the highest point – Dead Woman’s Pass, 4,200m. Take a well earned rest before continuing on to Phuypatamarca past the circular ruin of Ruruncuray and also Sayacmarca. Your last day on trek. First you pass the impossibly steep ruins at Winay Wayna, after which a further hour’s walking leads to Intipunku – the Sun Gate – from where you get your first incredible views of Machu Picchu. Continue on to reach the ruins and spend a little time exploring before taking the bus down to your hotel at Aguas Calientes. Return to Machu Picchu and enjoy a full guided tour of this incomparable Inca site before returning to Cuzco by train. After the exertions of your trek spend a day at leisure in Cuzco before driving to Manu Biosphere Reserve. Walk in the cloud forest and take a river journey in a motorised canoe to your rainforest lodge. Explore the trail and waterways of the Reserve, observing a diverse and exotic array of flora and fauna. Fly to Cuzco, then Lima and on to London. 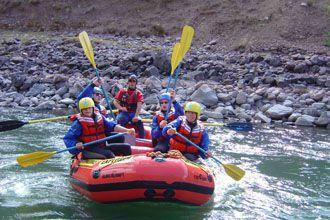 Combine rainforest exploration, a mountain trek and white water rafting on this Tailor Made holiday to Peru. We think that this itinerary would also suit adventurous families. Fly to Lima and on to Puerto Maldonado. Take a boat to your comfortable jungle lodge and then a twilight river ride – your first jungle exploration. Three full days in the jungle enjoying a variety of excursions including a canopy walk, canoe rides and trail walks. Return to Puerto Maldonado and fly to Cuzco. On arrival transfer to the Sacred Valley. Two days seeing the Inca sites in the Sacred Valley including Pisac, Urabamba, Chinchero and the Maras Saltpans. Begin a 4-day trek to Machu Picchu along the Hiram Bingham trail – a gentler route than the classic Inca Trail although they join together on the last day. On the first day, walk along the Urabamba river valley to Chilca. Trek past the steeply impressive Inca ruins at Winay Wayna and then through the Sun Gate to Machu Picchu. After a walk round the ruins take the short bus ride to Aquas Calientas. Return to Machu Picchu for a full guided tour. Take the train from Aguas Calientas to Cuzco. White water rafting and a picnic lunch. Spend the night back at Cuzco. Fly to Lima and then on to London.